Cash Incentive came to us as a brainstorm. A buyer rewards program promoting new construction homes where builders offer a cash incentive for purchasing at their development. A website adapted from BoldNews WooTheme that suits our needs appealing to both home buyers and builder partners. 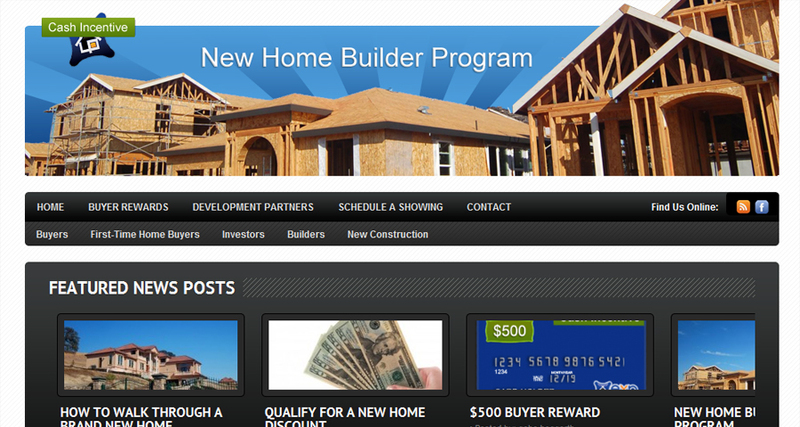 Buyers pages were published to the main site and a builder sub-domain was design for agent to builder presentations. Facebook and Twitter accounts were created and initial blog posts were published to select categories. The horizon is wide open for Cash Incentive poised to open in select markets. We are actively working with builder partners to market their new home developments.